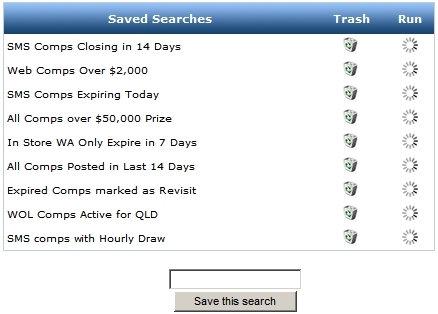 CompSearch™ is an advanced search engine which will help you find the specific competitions you're interested in. You can even save your searches for later reference. 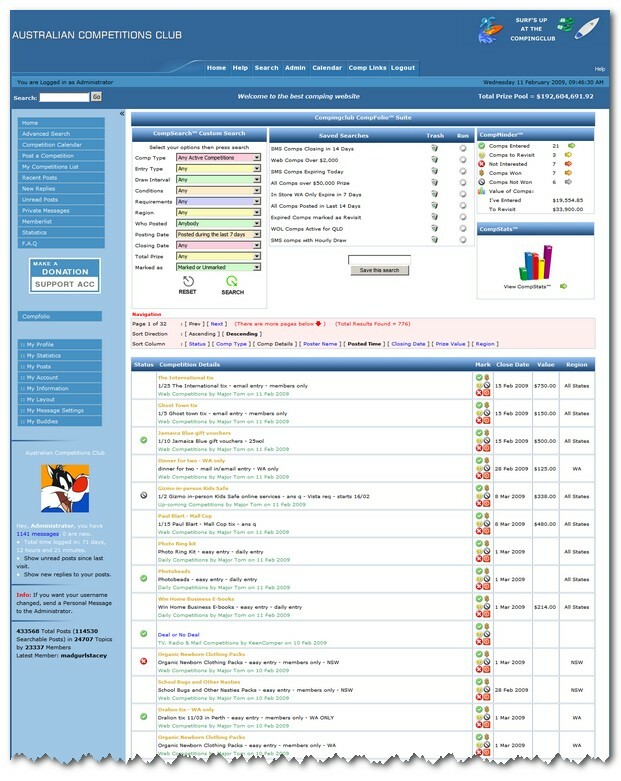 CompMinder™ Keeps track of the competitions you've entered, won, lost or just interested in. It also keeps track of the value of competitions you've entered into, how much you have won and which prizes you've received and which you are still waiting for! 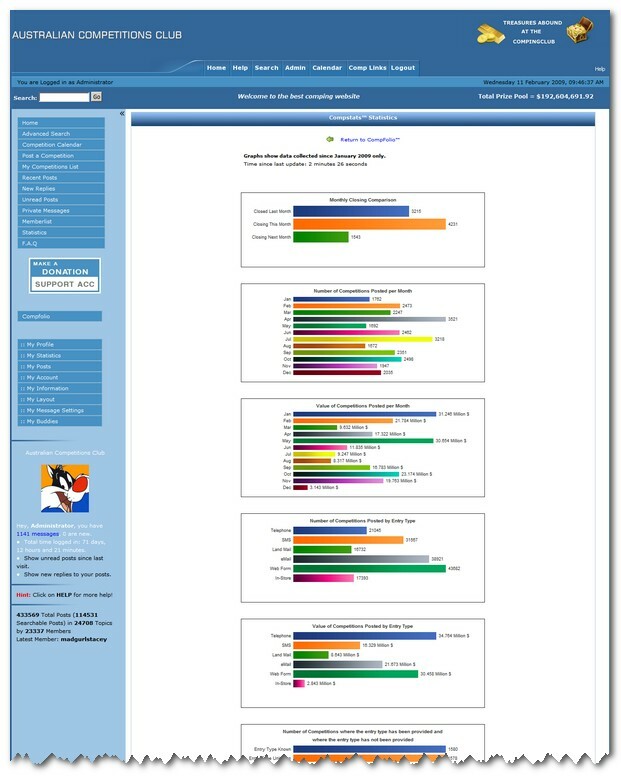 CompStats™ Produces real-time statistics of the competitions on the website displayed in easy-to-read graphs. Find out what types of competitions are the most rewarding and where all the prize money is going. CompFolio™ contains all the above features and is currently available by request for twelve months to all members who support this club by making an annual contribution to help with the running cost and maintenance of the website. If you've made an annual contribution and you'd like to have the the CompFolio™ Suit activated on your account (or a friend's) please contact the CompingClub Administrator. The main screen greets you with a crisp clean layout with everything at your fingertips. The CompFolio™ main menu is easy to use and easy to follow. 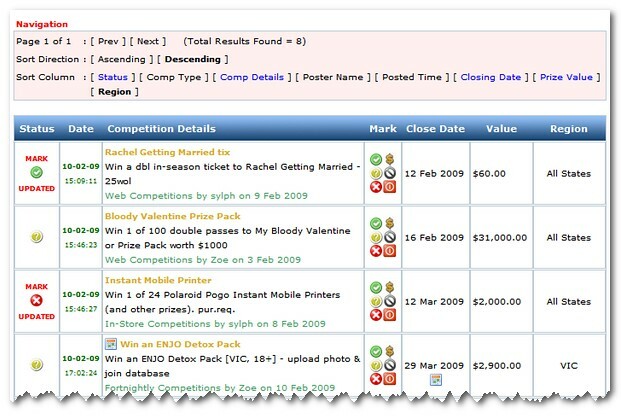 Using the CompSearch™ Custom Search menu you can search for competitions on the website specific to your requirements. The new search feature is far more specific than the normal website search. You can search for competitions based on category, type, draw interval, conditions, requirements, region, who posted, posting date, closing date, total prize value or competitions you have marked, unmarked or any specific mark. You can mix and match these options any way you like and create thousands of specific search parameters.! You can save your custom searches and run them later at the click of the mouse. There is no need to re-select the criteria again. Just point and click! Saving a custom search is as easy as typing in a name and pressing the save button. You can delete them just as easily. The CompMinder™ menu keeps track of the competitions you've marked, how many you've marked and the value of the competitions you've entered. It even keeps track of the prizes you've received and the ones you're still waiting for. If you click on the arrows the bottom of the page will list all the competitions for that particular mark. Now you can keep track of the competitions you've entered, want to re-visit, not interested in, won or entered but not won. 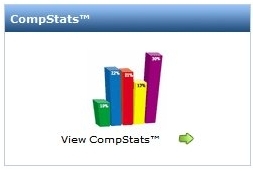 Click on the CompStats™ icon below and you'll be taken straight to the statistics page. The bottom of the main screen shows a detailed list of all the competitions posted during the last week. If you run a custom search the results will show all the information relative to your requirements. Everything is displayed in an easy to follow spreadsheet format. If you would like to mark any of the competitions shown, just click on one of the little Mark icons and your selection will be immediately recorded. Updates are instant, so there is no need to wait for the screen to refresh between every click! 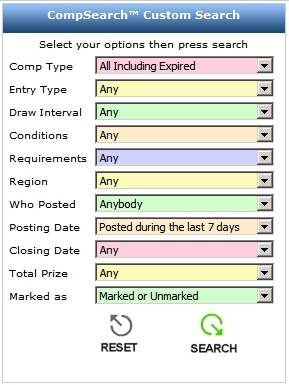 The Date column displays the last time and date you marked the competition so you can easily see when you entered a competition or won a prize. You can sort the results any way you like! 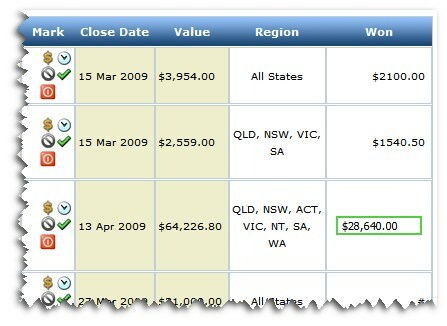 Identifying competitions which have multiple closing dates is a snap with CompFolio! All competitions with multiple closing dates are listed individually but marked with a special calendar icon so you see at a glance that it's a running comp. Competitions which have expired are shaded a different colour to make them stand out from the crowd. You can mark your competitions directly without using the CompFolio™ menu. In every section where comps are posted, the familiar marking buttons are shown. Just click one of these and your mark will be registered in CompFolio™. You can assign a prize value for each competition you've won! 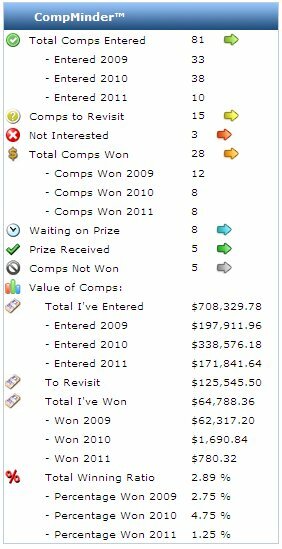 CompFolio™ will automatically calculate your personal winning totals and display the value in CompMinder™. You can even mark a competition or see if you have marked it previously when looking at it's details. It saves you switching back and forth between pages - easy as pie! The CompStats™ page displays statistical information about all the competitions on the website using easy to follow graphs. The graphs are updated every half hour providing you with vital and interesting information about expired and current competitions, the distribution of the number of competitions based on regions and prize value. Just some of the many statistical graphs are shown below. Not only are these graphs interesting, but they can help you to choose which types of competitions you should concentrate on. To have the CompFolio™ Suit activated, please contact the CompingClub Administrator after you have made a contribution. If you would like to contribute, please click on the "KEEP IT FREE - SUPPORT ACC" button on the left.